The Rev Lezley Stewart urges readers to look for sacred space in their lives. THE other day I was scurrying around and juggling a number of things, both mentally and physically, and trying to achieve a few things on the move. I was so unaware of my surroundings that it took a car horn to alert me to danger. 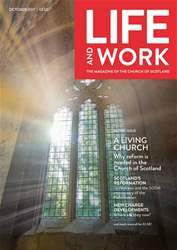 In this month's issue: A LIVING CHURCH - Why reform is needed in the Church of Scotland SCOTLAND’S REFORMATION - St Andrews and the 500th anniversary of the Reformation NEW CHARGE DEVELOPMENTS - Where are they now? The abundance of God’s earth. 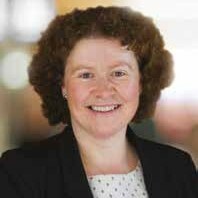 New Charge Developments – where are they now?